In the niche above the entablature on the south wall of National Statuary Hall stands the heroic-sized figure of Liberty. 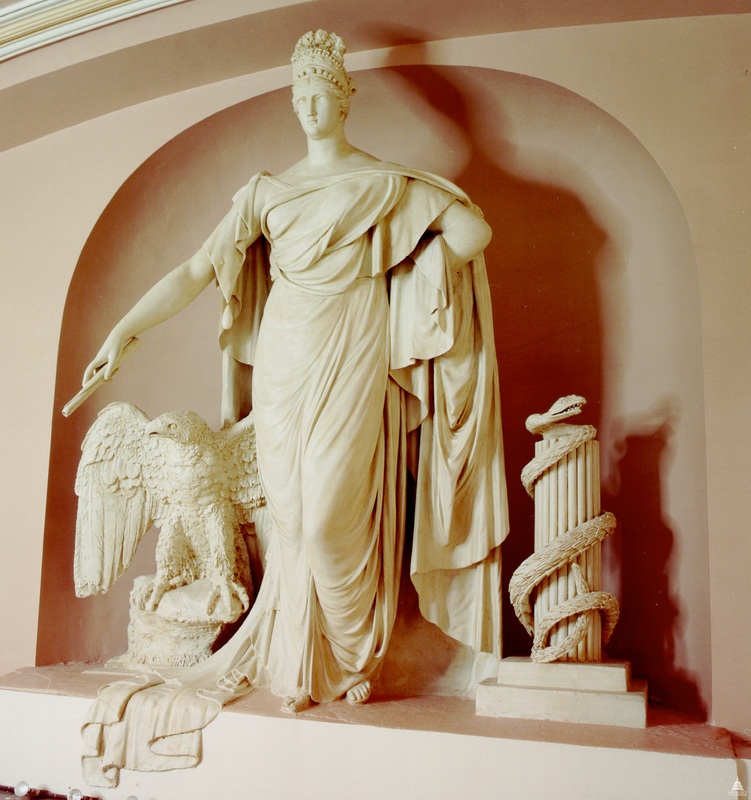 Placed there between 1817-1819 when the U.S. Capitol was rebuilt after the fire of 1814, she originally looked down on the House of Representatives which met in the hall during that time. An American eagle stands to Liberty's right, and the scroll in her right hand is the Constitution of the United States. To her left, a serpent, the symbol of wisdom, is entwined around a section of a column.